Walnuts are in the list of ingredients of the second recipe we’d like to suggest: here is our version of Chocolate Salame. Gently melt the butter and cream it with sugar, then blend it with egg yolks. 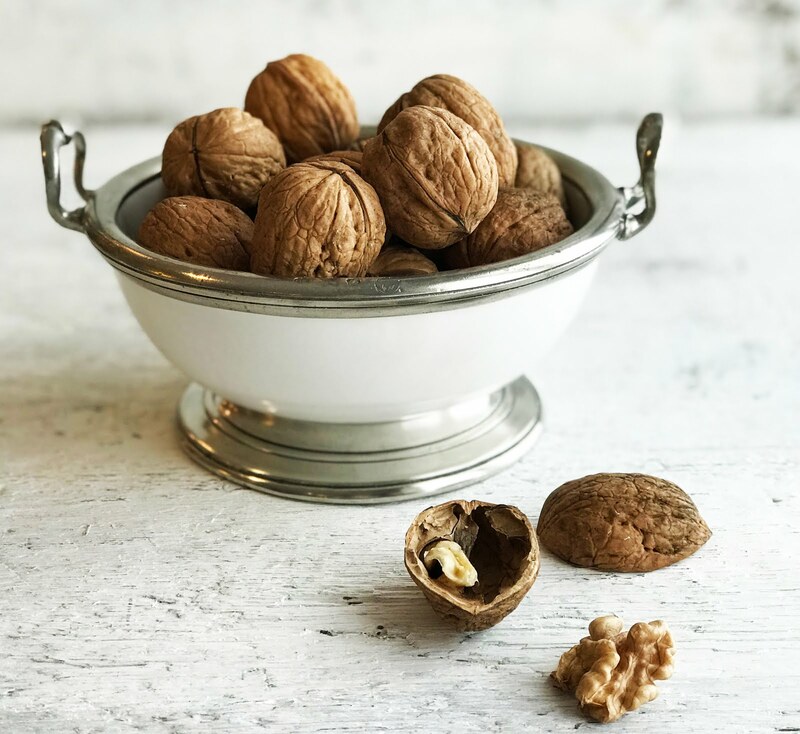 Unshell the walnuts and roughly chop them, reduce the biscuits into crumbles (not dust), then add them to the mixture along with the cocoa powder and one tablespoon of espresso coffee. Beat the egg whites until stiff and gently incorporate them into the mixture. Put the mixture on a large sheet of baking paper and shape it into a salame-like log. Wrap it into the baking paper and afterward in tinfoil and roll it to create a rounded cylinder. Twist the ends by grasping both ends of the paper. Finally, put it in the fridge for at least 6 hours to set. Serve in slices.